While some New Yorkers prefer apartments with private terraces, others opt for green spaces where they can socialize with their neighbors. 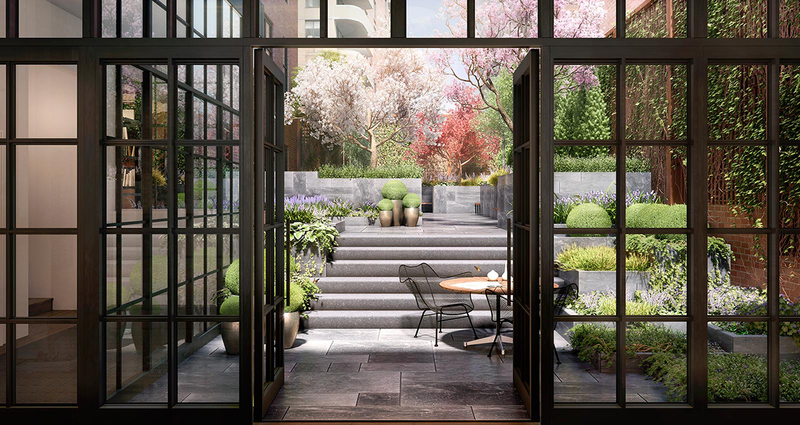 With summer weather officially here to stay, we’ve rounded up five new condominium developments with immaculate gardens. Situated on West 10th Street, the amenities at the Shephard condominium were designed to seamlessly blend in with the building’s aesthetics. As such, French doors in the lobby open to a private garden, which offers residents a quiet place to ponder over their morning espresso.